Unbound was designed with speed as a priority. Everything from the initial app launch to scrolling through your thumbs is incredibly responsive. Access photos whenever you want without having to wait. It doesn’t create a separate photo library like other photo apps. 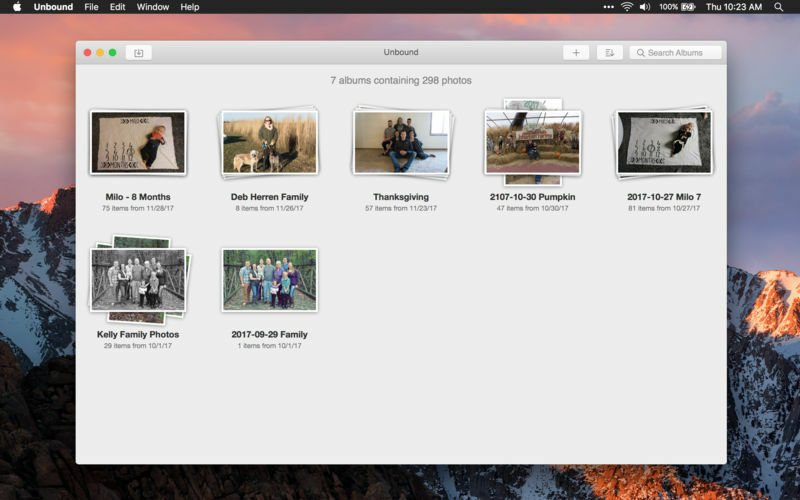 Instead, Unbound uses your existing file structure to create its albums. This means that there is no duplication of your photos, and that they’re easy to access and edit with any application you choose. Adds photo view options to see more details at a glance. Adds support for overriding the system default photo editor. Adds support for duplicating photos.